These are the three new hilarious illustrations created by one of our smartest artists in Camaloon: Randy Otter. Today we launch this special contest, asking you which is your favourite design between these three. 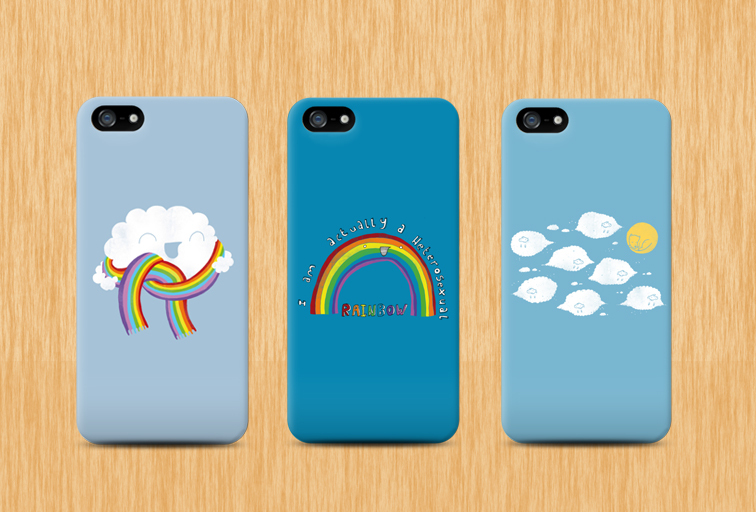 You can win one cover for your smartphone with the artwork chosen! To enjoy the contest you must enter this post and comment A, B or C.
A: Guarding the Flock - People always look up at the clouds and imagine what they could be however how often do you imagine the sun could appear as something different? B: Heterosexual Rainbow - This was just a silly thought about judging certain things by their appearance, who is to say all rainbows are gay! C: Mr Clouds new scarf - This little guy managed to accessorize his look using whatever he had around him and I have to admit it looks great! And if you participate do not forget to leave us your email address and we'll send you a discount coupon valid for all Randy's products! You have one week (until Wednesday 26th November) to participate! Thursday 27th we will announce the winner!